Interview with John Burgess : Non-profit research based consulting "Sreda"
As part of the research contest for young scientists Faith and Religion in Contemporary Russia «Sreda» started a series of interviews with researchers who study religious aspects. 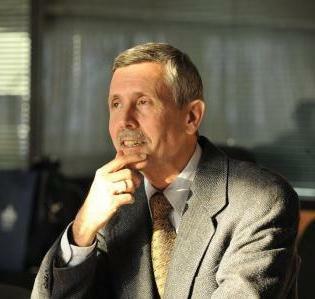 The following interview is with a jury member and a theologian John Burgess (Pittsburgh, USA). Mr Burgess, where did you study and get your education? I was trained in Christian systematic theologian at the University of Chicago and wrote a dissertation on the problem of relating the Christian Scriptures to political affairs. 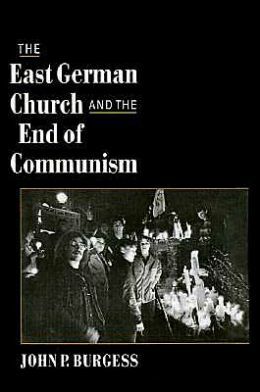 During this time, I had the opportunity to study for a year at the Lutheran seminary in communist East Berlin (1984-85). My first book was about the role of the churches in the peaceful revolution of 1989 (The East German Church and the End of Communism, Oxford University Press, 1997). Since 1998, I have been professor of systematic theology at Pittsburgh Theological Seminary , Pittsburgh, Pennsylvania. It is a Protestant seminary related to the Calvinist tradition and the Presbyterian Church (USA). I teach a wide variety of courses about basic Christian doctrine and have written books about the authority of Scripture, the sanctification of the Christian life, and what Protestants and Orthodox can learn from each other (Encounters with Orthodoxy, Westminster John Knox Press, 2013). How did you get interested in Russia? My interests in Russia span the past decade. Originally I came to Russia to study the Orthodox tradition, about which I knew very little at the time. Soon I was deeply moved by the beauty of Orthodoxy—the liturgy, the icons, and the monasteries—and wanted to know more about what role the Church would play in shaping post-communist Russian society. I have also worked hard to learn the Russian language—my first Russian lesson was at age 48! It has been deeply satisfying to make progress, and now I comfortably conduct interviews and give academic papers in Russian. Please tell us about your current research interests. In 2004-05, I spent a sabbatical year in St. Petersburg; in 2011-12, atSt. Tikhon’s Orthodox University in Moscow. I am very interested in the efforts of the Russian Orthodox Church to construct a new Orthodox culture that reaches into every area of society and offers Russians basic narratives, symbols, and rituals by which to understand who they are as a people and nation. I have focused on four areas of Church outreach to society: religious education, social ministry, interpretation and commemoration of the Church’s suffering under communism, and parish life. Because I am a theologian, I am especially interested in the social teachings that undergird the Church’s social vision. In this regard, the Social Concept of the Russian Orthodox Church is an especially important document. However, too many Western researchers focus only on the Social Concept. I am developing a research methodology that also takes seriously what I call the Church’s “operative theology” in its social initiatives. To be sure, few Russian Orthodox theologians have written theological treatises directly on the topic of church, state, and society, but Church leaders regularly speak about the Church’s relationship to society. 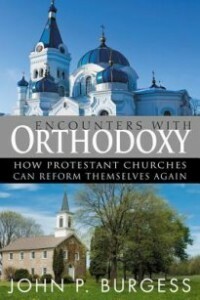 Church historians examine ways in which Church leaders responded to the Bolshevik government in the 1920s and 30s, Church publications and Web-sites try to educate people about what it means to live as an Orthodox person in contemporary society, and Orthodox social workers draw on Orthodox beliefs as they think about rehabilitation of alcoholics or drug addicts. These materials provide rich insight into the key theological ideas that define the Church’s approach to Russian society. To give just one example, I am interested in how Church leaders often interpret the suffering of the new martyrs and confessors as helping to purify the Russian nation and sow the seeds for its rebirth. My goal is to complete a major scholarly book on these questions by the end of 2015. How would you describe the religious situation in Russia? I am fascinated by the variety of ways in which Russians relate to the Orthodox Church. Many call themselves Orthodox but have little understanding of Church doctrine or rituals. They nevertheless respect the Church and see it as part of Russian national identity. Other people observe some of Orthodoxy’s holy days and rituals but have no sense of belonging to a particular parish. Still others regularly attend the liturgy and receive the Eucharist. It is therefore difficult to judge just how much influence the Church really has in Russian society today. Perhaps 70-80% of Russians call themselves Orthodox, yet only 3-5% regularly participate in church life, keep the fasts, and receive the Eucharist. From one point of view, the Church is the largest nongovernmental organization in Russia and has tremendous opportunities to influence state and society. From another point of view, the Church is just one voice among many in the new global marketplace in Russian society. I am trying to understand whether and how the Orthodox tradition gives many Russians a sense of national greatness and destiny, even if they do not actively participate in church life. Which Russian researchers do you find especially helpful for your research? Among the many from whom I learn, let me mention just three. The historical work of Father Alexander Mazyrin at St. Tikhon’s has been very valuable to me in understanding the Church struggles of the early 20th century. The sociological research that Igor Ryazantsev and his researchers are conducting is helping me appreciate the growing interest in Orthodoxy among young, educated, urban, middle-class Russians. Olga Kazmina at Moscow State University is doing very important work on the resurgence of Orthodoxy since the collapse of communism and how the Church will relate to a society that is increasingly pluralistic.